Cascade Baking Company will have Irish Soda Bread this St. Patrick's day. Our soda bread is very traditional made from whole grain wheat and oats. We provide the bread plain or with raisins. We will make only a limited number, so best to order ahead of time. Cascade Baking Company is located at 229 State Street, downtown Salem. The phone number is 502 589 0491. Venti’s--celebrate St. Patrick’s Day in the Basement Bar with some special Irish beers including Harp, Guinness, Smithwick’s, Half and Half of Guinness/Harp and, for the adventurous, Irish Car Bombs. I didn’t know what an Irish Car Bomb was so I had to look it up. Wikipedia says is is similar to a Boilermaker, in that it is and Irish stout (typically Guinness) plus Irish cream (Bailey’s) plus whiskey (Jameson’s). Sounds interesting, doesn’t it? Our kitchen is working on something special for St. Patrick’s Day, but at this time all the festivities for the holiday will be in the Basement bar. There will be a four-leaf clover raffle drawing, prizes to include Venti’s swag and gift certificates. 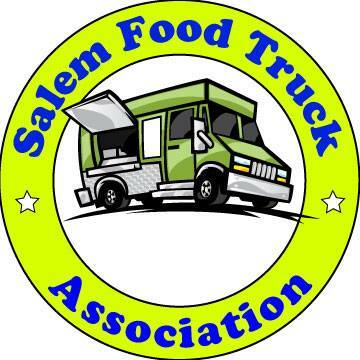 We are also on the route of the Salem Professional Firefighters Pipes & Drum Corps. So you might get the pleasure of hearing the melodic tones of our heroic firefighters! Quite a treat. La Margarita Restaurant will be offering a special margarita, the Green Leprechaun Margarita, on the rocks, made with green melon liqueur. Word of Mouth: For Breakfast St. Patrick's Day Our "I-didn't-even-know-I-liked-hash" Corned Beef Hash on the same plate with two eggs cooked your way and fresh baked bread with Mother Teresa's Strawberry Freezer Jam. Boon’s Treasury and Thompson Brewery and Public House will both have these food and drink specials going on. Plus if you’re lucky, you’ll catch the bagpiper when he’s at the pubs. Corned beef & cabbage, Irish Reubens, MacSleyne Irish stew, McMenamins Irish stout and Irish coffees! Seven Brides Brewing: Plans for St. Patrick's Day??? Head on down to the Tap Room for some Irish food classics, Kelley's Irish Stout, and music at 7PM! Limeberry Yogurt and Espresso: Just in time for St. Patty's Day! Pistachio (today) and Irish Mint (in the next day). Next Up: Coconut, Reeses Peanut Butter, Rootbeer Float and Pina Colada! Bentley's -Lambstew, Soda Bread, Boxty On The Griddle! Just a few hints as to what’s in store on St. Patty’s Day. Bentley’s Grill will also feature festive St. Patty’s Day themed cocktail specials including the popular Dublin Apple…. Back by popular demand…. Salem Fire Fighter Pipes and Drums. This band is comprised of active Salem Fire Department members and a local favorite! It is always a thrill to hear them perform Great Highland bagpipe and Highland pipe-band style drumming. You do not want to miss this very special treat!